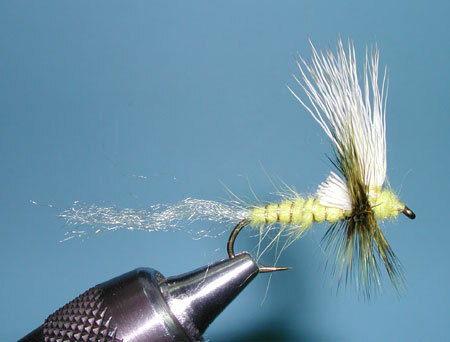 Gray's Hex Dun is fished as a dry fly which is cast ahead of surface-feeding trout. Lincoln prefers to provide a subtle twitch to the fly to imitate a struggling hex during the hatch. The flag of Bleached Elk Hair provides a good sighting object within the dusk evenings.